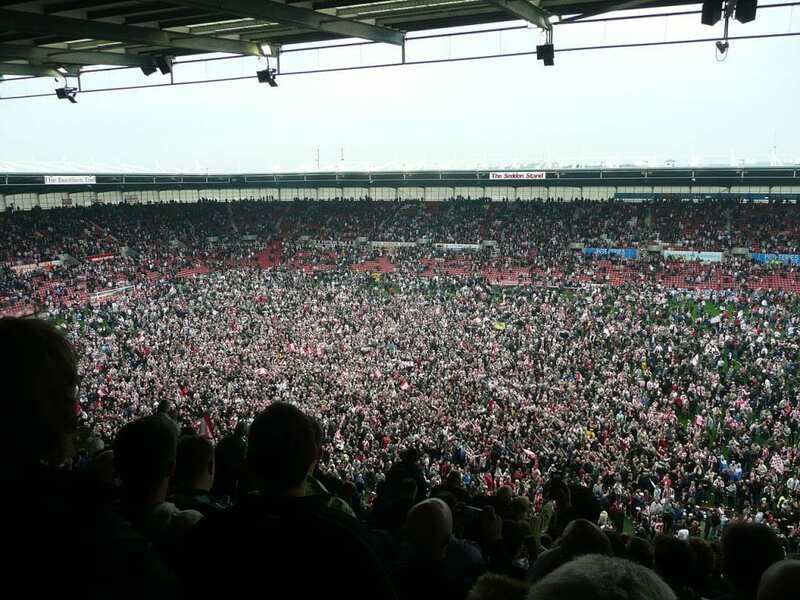 The history of the bet365 Stadium may not be the longest in the Premier League, but its occupants, Stoke City FC, do have an extraordinarily long history. Although not the most successful teams in terms of silverware, they have been around for a very long time and have remained successful for the majority of their 154 years. They also have the honour of being able to claim one of football’s greatest ever players as one of their own: Sir Stanley Matthews. If you enjoy football, you might also be interested to find out the history of Dean Court too. Stoke City FC were founded in 1863 as Stoke Ramblers. They played at Victoria Cricket Ground until 1877 when they moved to Sweetings Field after attendances started to swell. The following year they would merge with Victoria Cricket Club, change their name to Stoke Football Club, and adopt their now traditional red-and-white striped kit. They turned professional in 1885. If you are interested in Cricket, make sure to have a look at our best cricket betting sites. Here you can place your cricket bets. The football club were one of the twelve founders of the Football League in 1888, but tougher times would follow and they were relegated twice before 1907. The club then went bankrupt and entered non-league football until 1914. The League was suspended due to the outbreak of the First World War but The Potters would move into Victoria Ground in 1919 and construct the Butler Street Stand which took capacity up to 50,000. In 1925, Stoke-on-Trent were granted city status and the club changed its name for the final time to Stoke City FC. A number of stadiums have undergone a range of different problems and events. You might want to take a look at the history of St Mary’s Stadium along with other clubs. The 1930’s saw the arrival of Stanley Matthews and renewed success. They were now considered one of the best teams in the country but tragedy struck in 1946 when 33 fans died and 520 were injured in the Burnden Park disaster. They were relegated in 1953 and would spend the next decade in the Second Division before being promoted again. They won their first major piece of cup silverware in 1972 when they beat Chelsea in the League Cup. Their fortunes would soon turn again, when a storm blew the roof off the Butler Street Stand in 1976. The subsequent repair bill left the club in financial trouble, which resulted in them selling their best players and being relegated for two successive seasons. They were relegated to the third division at the end of the 1990 season. If you want to place bets on your favourite football club, you might want to have a look at our list of best football betting sites. 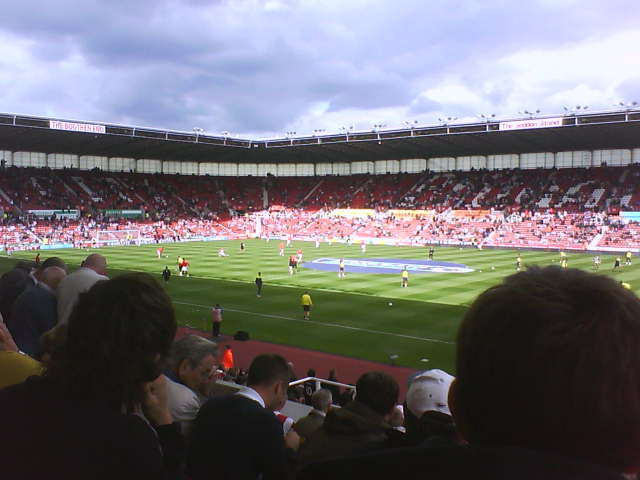 Stoke achieved promotion to the Second Division in 1993, and moved to their new ground in 1997. They were again relegated to the Third Division in 1998, but the club were bought out by former chairman Peter Coates in 2006 and things began to gradually improve. They finally won promotion back to the top flight in 2008, and have remained in the Premier League ever since. They also reached the FA Cup final in 2010, played European football the following season. They are the second oldest professional club in the world. The bet365 Stadium has been Stoke City’s home since 1997, when it was called the Britannia Stadium due to a sponsorship deal with The Britannia building society. The stadium cost £15 million to build and had a capacity of 28,384. They were relegated after their first season in their new home but would return to the top flight in 2008. The stadium has recently undergone construction which has increased its capacity to 30,089 and has been known as the bet365 Stadium since 2016. The ashes of Sir Stanley Matthews, the club’s greatest ever player, are buried beneath the centre circle. The Victoria Ground is just as integral to the history of the bet365 stadium and the FC as Sir Stanley Matthews is. The ground was built in 1878 and took its name from the nearby Victoria Hotel. It was originally oval shaped due to the running track used by the local athletics club, and this shape would remain until 1919 when two new stands were added. The final traces of the old oval shape were finally removed in 1930 when the Boothen End was terraced and covered. The 1930’s saw the arrival of Stanley Matthews, who drew the crowds in and a peak capacity of 56,000. The players themselves laid the concrete foundations for the paddock terracing as a team building exercise in 1963. In 1976 a storm ripped through the ground destroying the Butler Street Stand which would have a dire effect on the club’s finances. If you are interested in placing bets, you might want to check out our football betting tips to ensure you get the most winnings. The Victoria Ground closed its gates for the final time in 1997, when the cost of converting the 25,000 capacity stadium proved to be unrealistic. 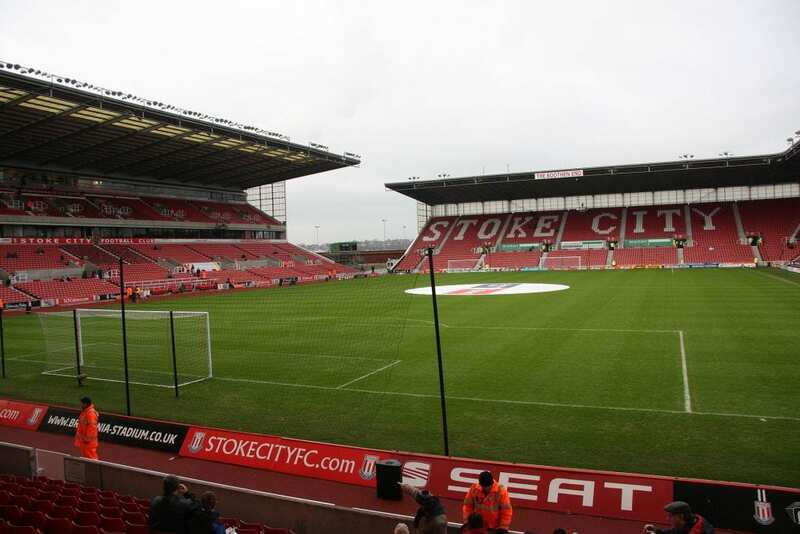 Stoke FC then moved to the purpose-built Britannia Stadium nearby. Today, the Victoria Ground site is now an empty field with plans to build a housing estate on it in the near future. For the very latest fixtures list, visit the Official website of the Premier League. If you want to study the list and take a punt on the next fixture, click here for the very best odds. For tickets to Bet365 stadium events, it’s probably best to use the football club themselves as a supplier so you know you are getting a genuine ticket. Either visit the club’s ticket office or click the link below to be taken to the club’s official website for more details.